rAge is an event that’s is a showcase for new games, media and a chance to get some damn fine loot. It’s also home to one of the biggest Bring Your Own Computer LANs in the country, as the NAG LAN has grown to become a rite of passage for anybody who wants a legendary weekend filled with gaming, funky odours and debauchery. I may have made that last part up. Check those weapons and start gathering supplies because NAG, the driving force behind rAge, South Africa’s premier gaming and technology lifestyle expo, has confirmed that tickets for the 2015 NAG LAN will go on sale on Saturday 1 August 2015 at 09:00 at Computicket. 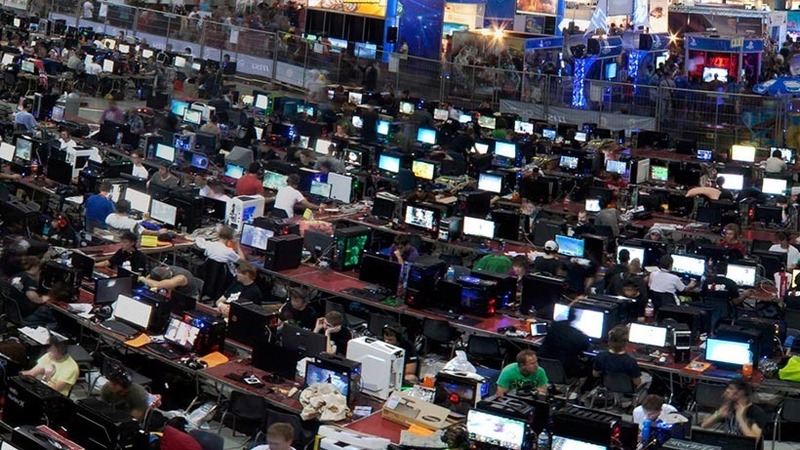 Over 2,500 gamers, with their gaming rigs in tow, will descend upon theTicketpro Dome in Johannesburg for three days in October, to be a part of Africa’s largest BYOC (Bring Your Own Computer) LAN event for 52 uninterrupted hours. This year the headline sponsor for the NAG LAN is FPB, with Intel, as always, providing the server horsepower needed to host the LAN. HPwill be supplying the network infrastructure and switches, while broadband connectivity is managed by IS, ensuring the lowest possible pings when connecting to online servers. It is important to note that this year, two types of tickets will be available for purchase via Computicket: NAG LAN Main Dome andNAG LAN Area 51. The Main Dome is located in the main arena alongside the rAge expo show floor and upstairs on the mezzanine level (this is where the LAN has always been held and entry is via Entrance 6). Area 51 is located in a separate enclosed hall next to Entrance 3 (same place as it was last year). Both sections will be connected to the same network, and both sections allow access into rAge expo. The NAG LAN is an unforgettable experience for any gamer wanting to spend a weekend filled with meeting new friends/teamies and reconnecting with old ones, as well as non-stop gaming 24/7. Whether you’re a first time LAN attendee or a veteran NAG LANner, everything you need to know about how the LAN works and what you need to bring can be found in the detailed FAQ on the NAG forums. Tickets cost R550 per person which includes free access to the expo all weekend. For more information on the NAG LAN go towww.naglan.co.za. rAge 2015 kicks off from 9-11 October at the Ticketpro Dome in Johannesburg. Let us know if you manage to grab a ticket, or if the gods have decided to punish you yet again for strangling baby turtles in a previous life by hampering your online connection.